Hallelujah ‘Tis Done: Resurrection Wounds « This is Your Wake Up Call! In the movie Madea’s Family Reunion a song sung by Rachael Ferrell, lyrics by J. Carlock goes something like this: “As time passes they begin to multiply adding up secretly like the rings of an old oak tree; there are wounds in the way; some old, some new all stifling debilitating and cruel and some are passed down from elder to youth – they don’t belong to you. There are times in our lives when we have allowed our wounding to get in the way of our living. Jesus did not allow his wounds to get in the way of the resurrection. The disciples were locked behind closed doors perhaps to encourage each other, pray or develop a new strategy to do damage control of the horrific evens on that fateful Friday. Wounds tend to do two things. They will either cause you to hide or try to hurt someone. Hurt people can hurt other people. Although the disciples were on lock down, Jesus appears to them and shows them his wounds. Some scholars in a majority opinion believe that Jesus showed his wounds to prove that he was the same Jesus that hung on the cross and rose from the grave. The wounds proved that he was who he said he was. He was the risen Christ and not an impostor. 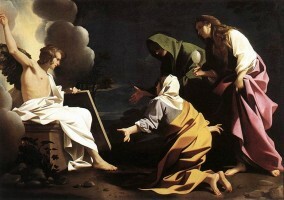 The wounds were the evidence, the tell tale signs of the resurrection. They were validation of his life and teachings. The wounds spoke of the resurrection: Jesus is not just a good guy; another prophet or teacher but he is the Son of God who said he was going to suffer and die and said he would rise on the third day. The resurrection did not blot out the wounds, erased the wounds, and reversed the wounds. Jesus rose from the grave in spite of the wounding with the scars and the sores that were produced by the hurt and pain of a brutal public crucifixion. The wounds themselves are a sign of healing; scabs formed over the abrasions where his skin was scraped off as he stumbled along the apian way carrying the cross; wounds were a sign of healing – the lacerations where his flesh had been torn open by the leather whips; penetrating wounds from the spear in his side- the clots that had formed over the bleeding holes in his hands, and feet that indicated healing- like stretch marks on a woman’s belly show the at one time new life stretch the skin to its breaking point but now healed the scar remains. Jesus showed his wounds. They identify him with the human condition. God fully entered into our daily life through his son; entered into the daily injustice and pain of exclusionary idioms– he passionately carries our wounds in his body and longs for our healing. The wounds remind us that God through his son Jesus Christ will never ignore or negate nor minimalize the human condition. He will never be beyond our reach or cry. Jesus suffered for us then and suffers for us now. Jesus shows his wounds – they more than validate his resurrection he also demonstrates that in spite of all that happened to him on Calvary – he did not let his wounds get in the way. The wounds of his descend did not prevent his assent; the wounds of his demise did not get in the way of his come back; the wounds of his downfall did not prevent his uprising. The wounds from his humiliation did not prevent his elevation; the wounds of he agitation did not get in the way of the wounds of his motivation; the wounds of his crucifixion did not get n the way of his glorification. The wounds did not get in the way. I’m saving a spot just for you! Don’t let this opportunity pass you by. 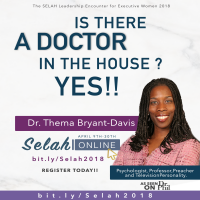 Selah Online, the digital resource for busy leaders begins next week. Webinar lessons are delivered tour email inbox on four consecutive Tuesday beginning April 9th. 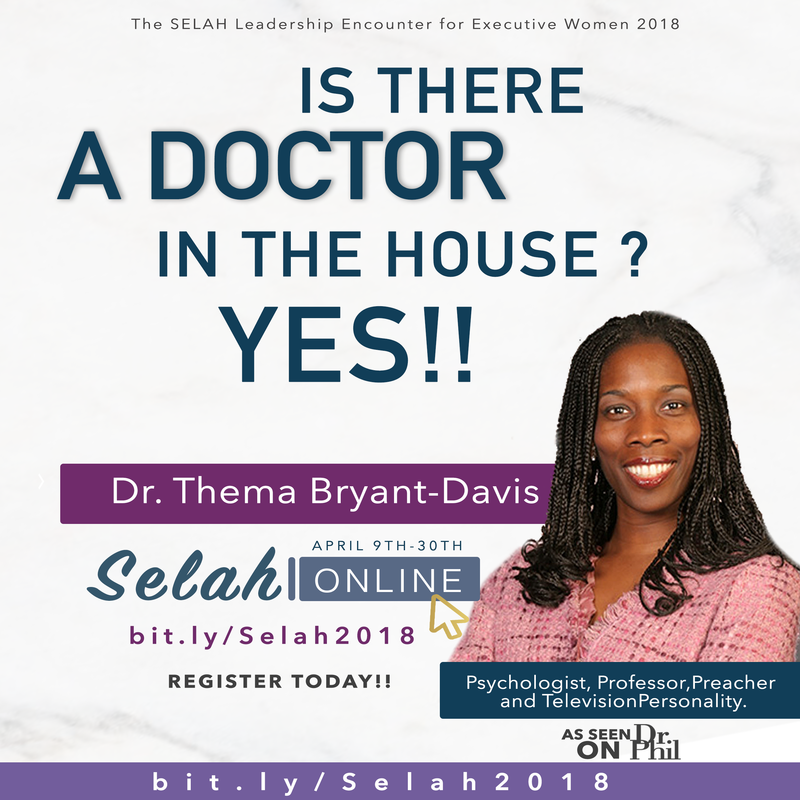 Register today at bit.ly/Selah2018.